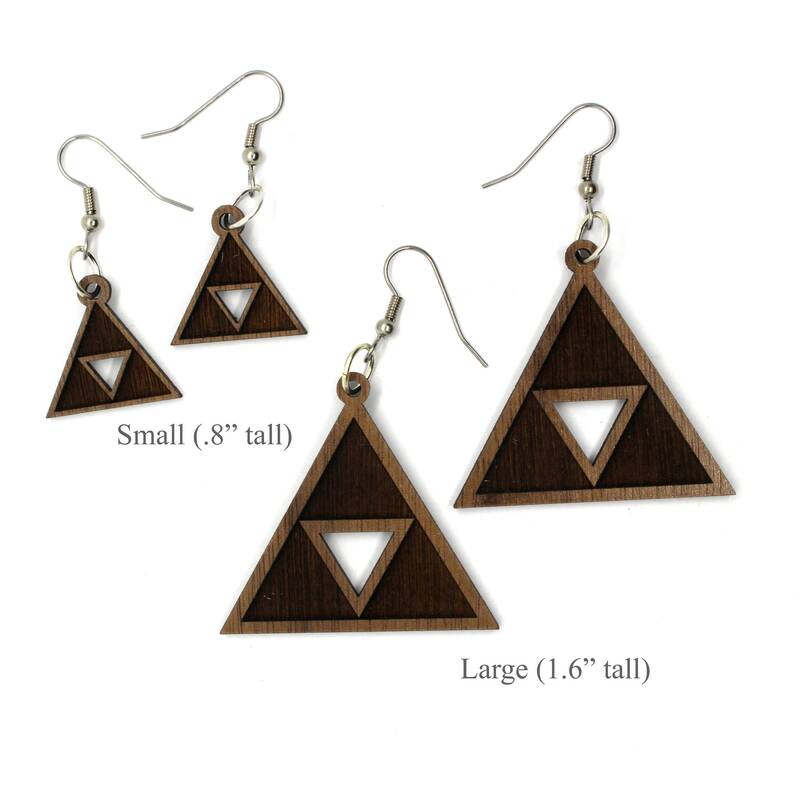 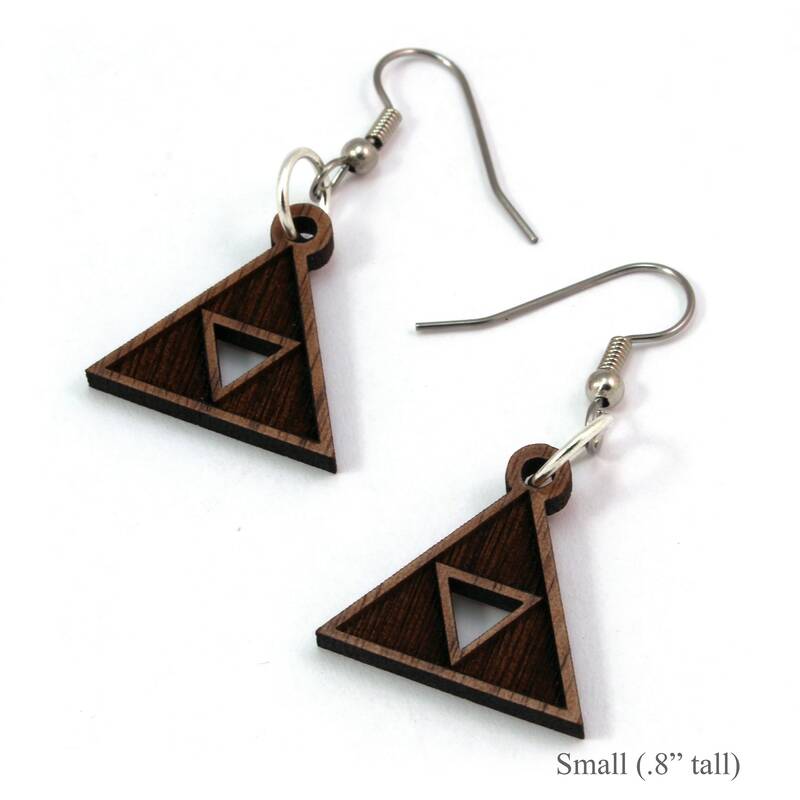 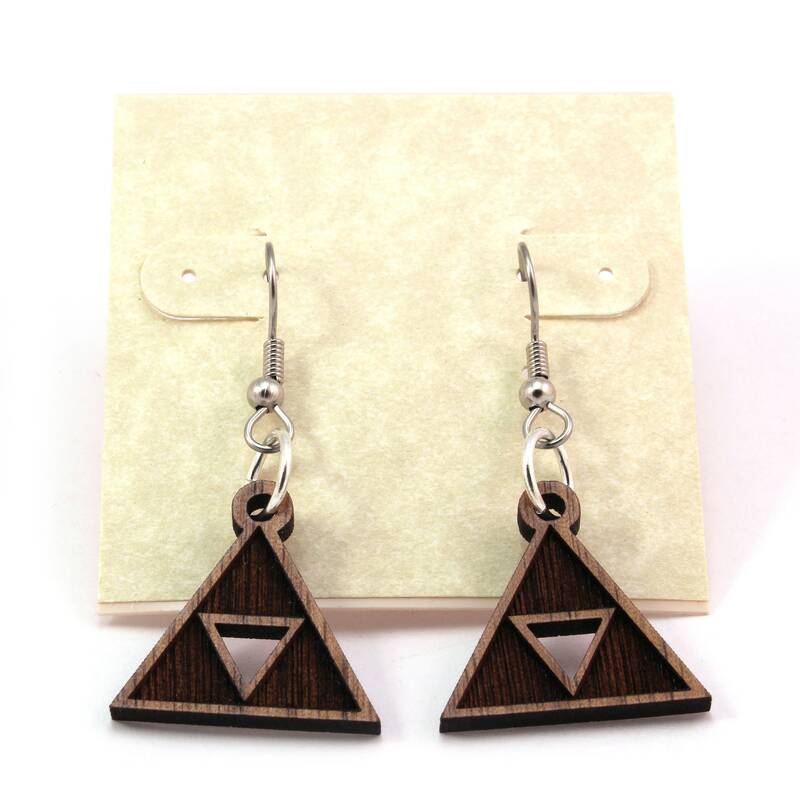 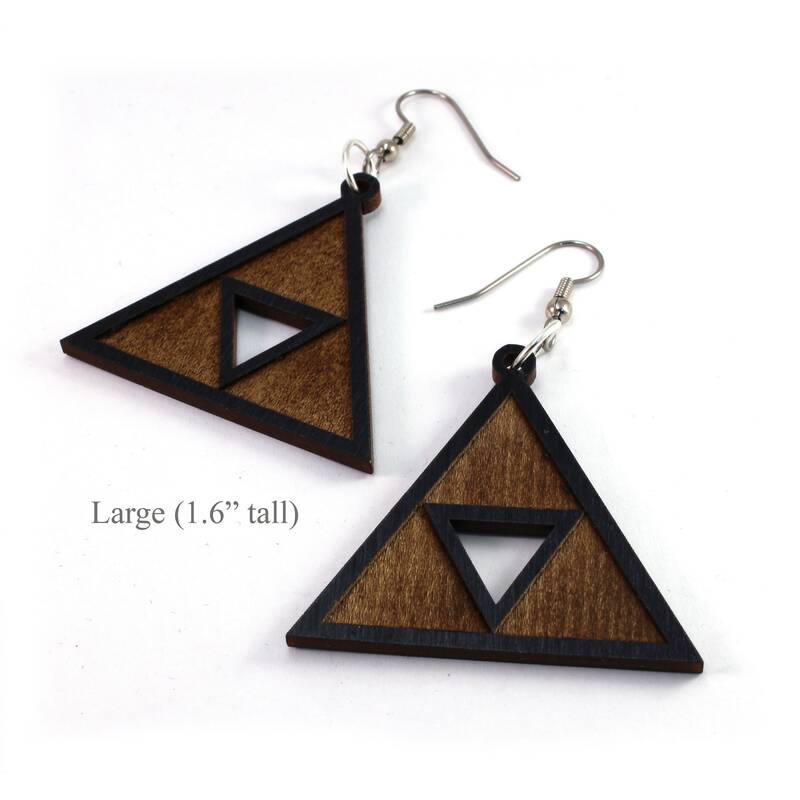 These Triforce Hook Earrings make a great gift for that Zelda fan. 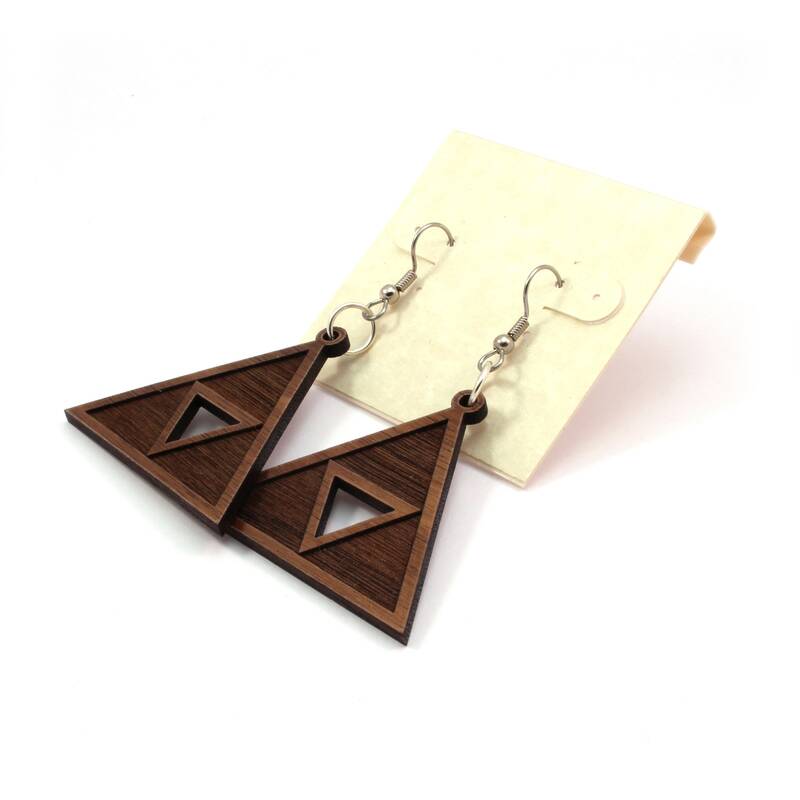 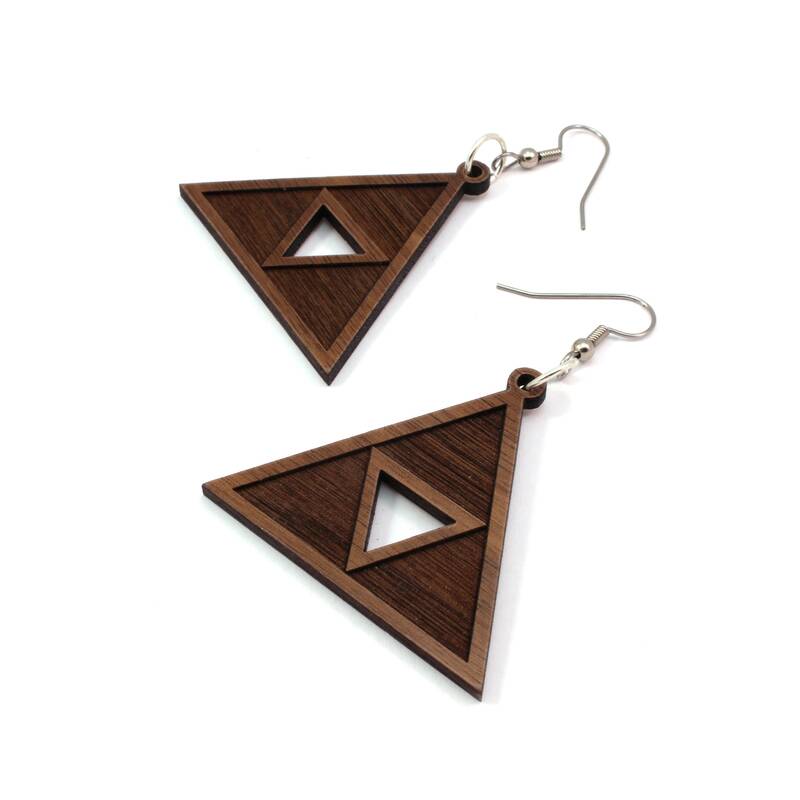 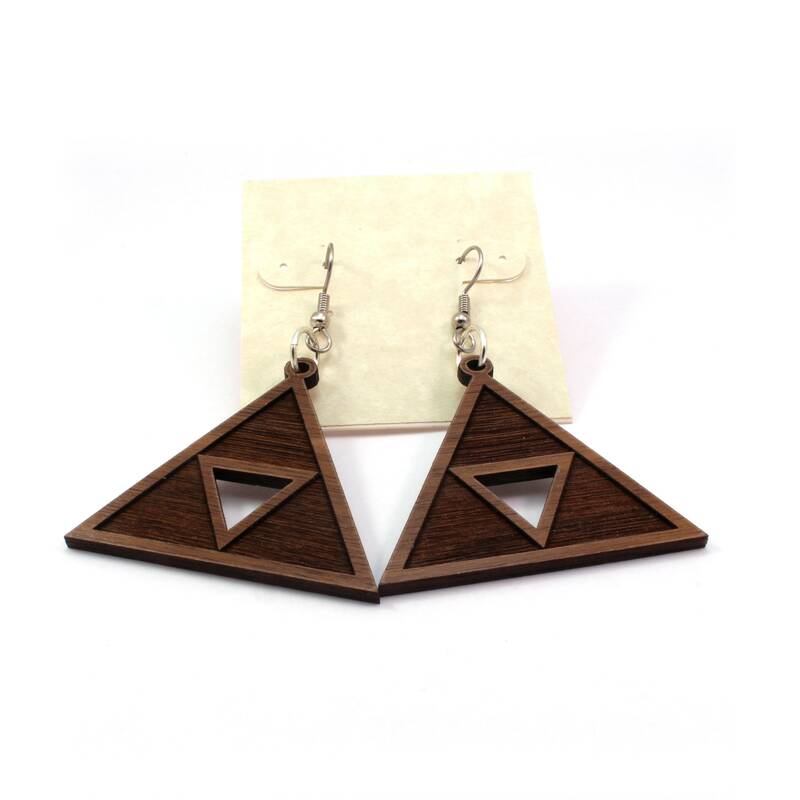 These lightweight wooden earrings are made by K.C. 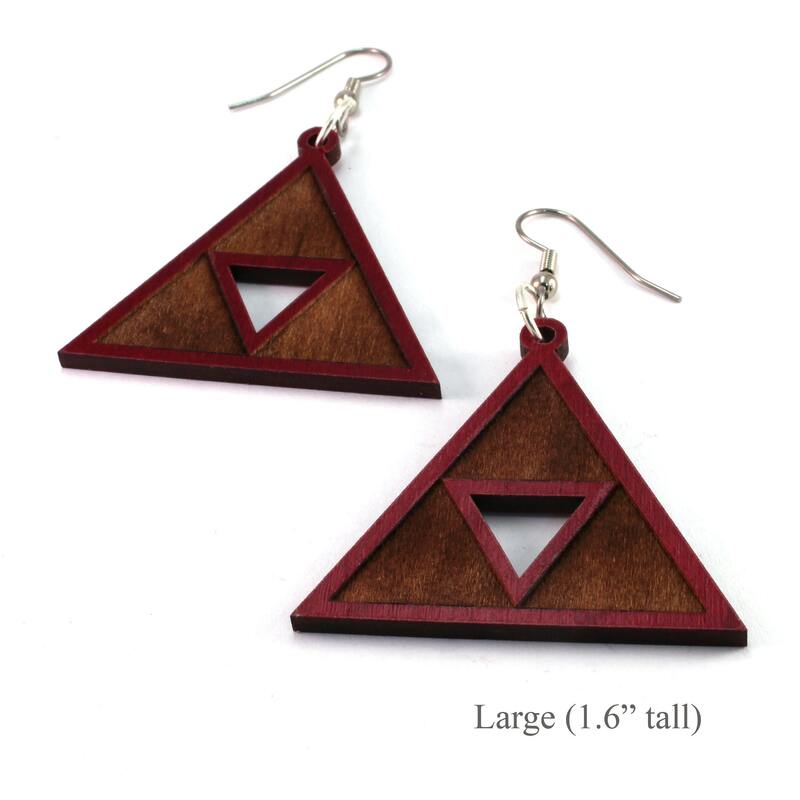 Peck out of Walnut Wood in State College, PA. 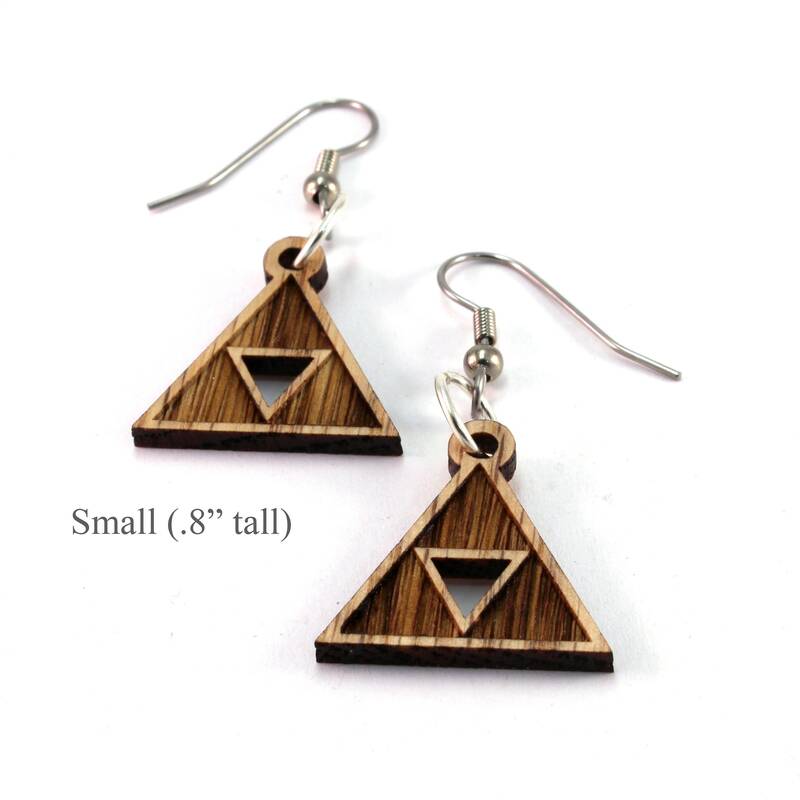 The earrings are available in two sizes: Large (Primary image) measure approximately 1.6" long x 1.7" wide and Small measure approx. 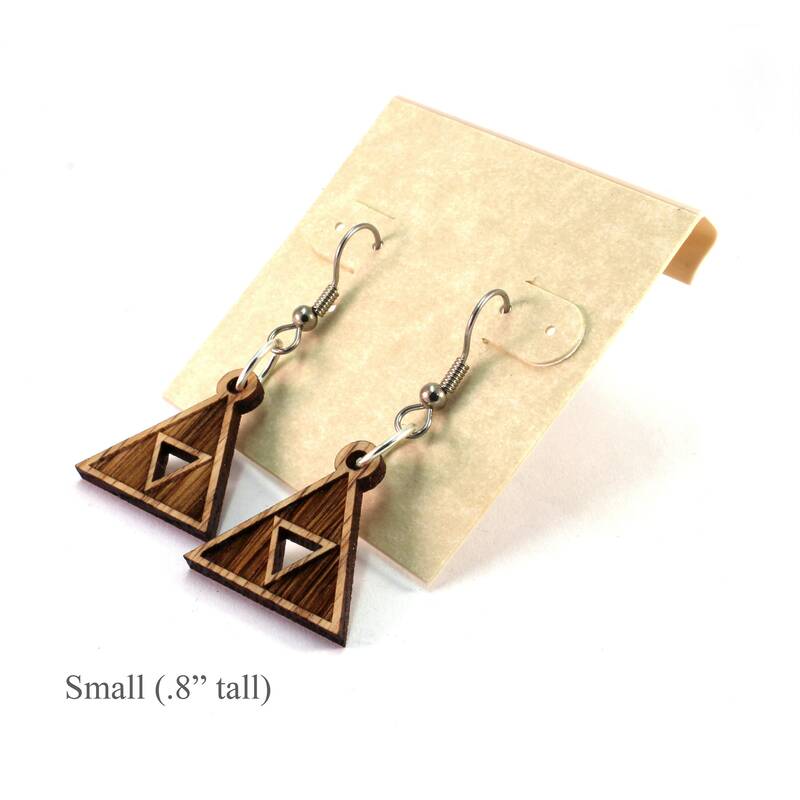 .8" long x .8" wide.